Conduct a worldwide search and order the results by the ‘Placed On’ category. Scroll past the caches with bogus ‘Placed On’ dates (example: everything prior to May 11, 2000). You will see there are only seven remaining caches that were placed in May 2000, which was the first month of geocaching. The pickings are even slimmer for August 2000, with just four remaining active caches. Conduct a search on Geocaching.com and order the results by ‘Placed On’ date. Run a Pocket query on Geocaching.com and use the ‘Placed During’ box to limit the results to a specific month. There are other options, including Project-GC’s ‘Map – Hidden Month’ tool. It shows you a map with available caches from your missing months, along with multiple filters. 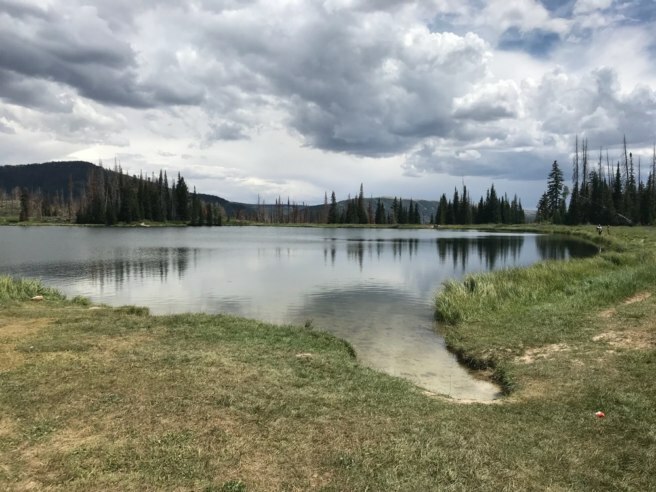 Potters Pond (GC3B, Utah, USA). Located in a high mountain valley (approx 9200 feet elevation), it’s about 2.5 hours to drive from Salt Lake City. The last 11 miles or so are on dirt road. (Helpful driving information is contained in this log by a Utah community volunteer reviewer.) Once you make it all that way, the hike from parking to ground zero feels relatively easy. It’s a nice, big cache in a forest. Classic geocaching. 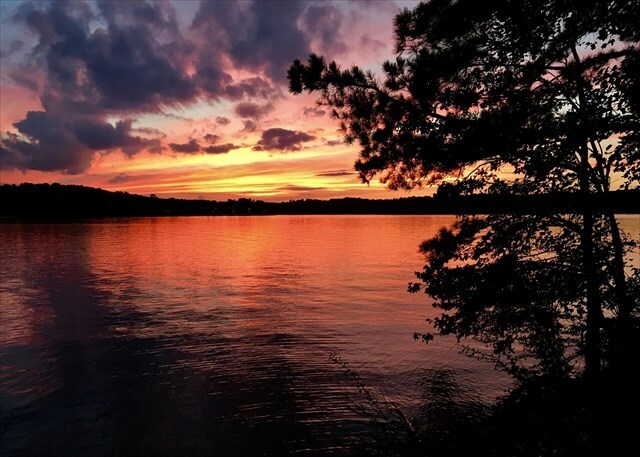 Lake Lanier (GC21, Georgia, USA). This one isn’t quite as secluded as Potters Pond. It’s just under an hour’s drive from Atlanta. But as the cache title implies, you’ll enjoy great views of a beautiful lake. A pleasant walk on defined trails leads you near the cache. Geocache 612 (GC36, Michigan, USA). This cache is way out there, at least, relative to major metropolitan areas. You’re looking at a three hour drive from Detroit, five hours from Chicago, or “only” two hours if you’re coming from Grand Rapids, Michigan. I would argue it’s the least accessible of the August 2000 caches. The last bit of road gets soft and sandy, and parking is about 0.1 mile from ground zero. From there, it’s an easy walk to the cache. Cecton-more completes her Jasmer at Geocache 612. Match Stash (GC4D, Sweden). This is certainly the easiest of the August 2000 caches to access from a big city. It’s only about a 20 minute drive from the center of Stockholm. I used public transit to get within a mile of the cache and then walked the remainder. You may not be satisfied with completing your Jasmer grid only once. 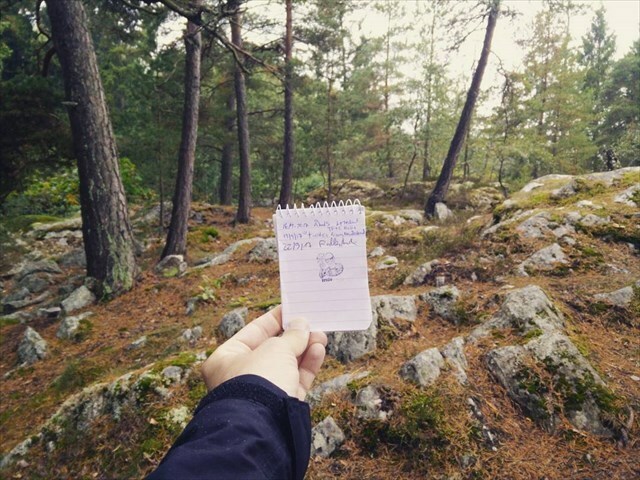 When you finish the first loop, you can aim for Double Jasmer (find two caches in every month) or more. Quadruple Jasmer is one of my favorite geocaching accomplishments! 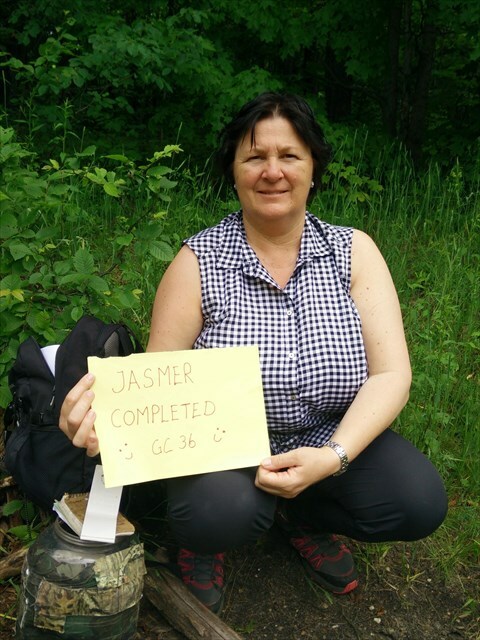 Have you completed your Jasmer? If so, what was your most memorable qualifying cache? If not, how is your planning going?